﻿ Best Price on Hotel Contempo in Managua + Reviews! 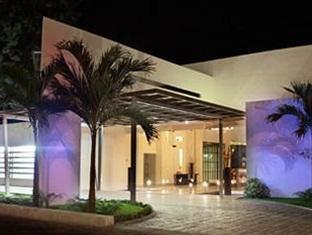 This stylish boutique hotel is located just outside Managua, 12 minutes’ drive from the city center. It offers a spa, an outdoor pool and attractive rooms with free Wi-Fi. 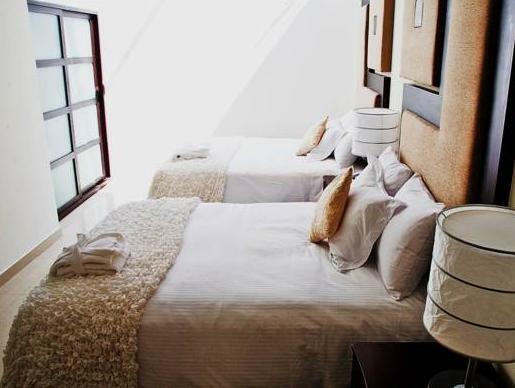 The air-conditioned rooms at Hotel Contempo feature minimalist décor and plenty of natural light. Each one comes with flat-screen satellite TV and a private bathroom with a hairdryer. The hotel’s Restaurante Azul offers French gourmet cuisine, using fresh, local produce. All guests also receive a welcome cocktail on arrival at the hotel. The Contempo offers massage services, and the spa also features a hot tub. There is also direct access to Nejapa Golf Club. Managua Airport is a 20-minute drive from Hotel Contempo. On request you can use the airport shuttle service, as well as the transport service to the city center and other destinations. Please inform Hotel Contempo in advance of your expected arrival time. You can use the Special Requests box when booking, or contact the property directly with the contact details provided in your confirmation. Guests are required to show a photo identification and credit card upon check-in. Please note that all Special Requests are subject to availability and additional charges may apply.